Welcome to NASCAR's Year of Nothing Good. It's an unfortunate recurring narrative this season, and it's the bad spot that NASCAR suddenly finds itself in - yet again - four days before setting the field for its championship finale. The title storyline just got a lot more intriguing, but the drama comes with the concomitant rotting stench of rulebreaking that will leave the 2018 stretch run tainted for long after the champion is crowned Nov. 18 at Homestead-Miami Speedway. Kevin Harvick, the odds-on favorite to win the title, suddenly is facing potential elimination after a penalty announced Wednesday, nearly three days after his dominant victory at Texas Motor Speedway. That throws the race for the three spots wide open, which is good. But it's also bad because it takes the focus off the competition, personalities and conflict (hey, remember that new feud we briefly were talking about?) and shifts it to a host of annoyingly persistent questions that lack any easy answers. Why can't NASCAR discover these infractions at the track? Why can't the inspection process be confined only to the garage (as many other major-league racing series somehow have managed … though in this case, the infraction apparently could be caught only at the R&D Center)? As Harvick's car owner, Tony Stewart, raised during postrace Sunday, why can't inspection be accomplished more efficiently and swiftly? Why is the rulebook so voluminous that it seems every waking minute is devoted to legislating some arcane bit of business related to its thousands of codicils, whether it's an uncontrolled tire or an uneven planar mating surface? Or pinion shims, window braces and flat splitters? See the problem with the "Hey, this penalty will reinvigorate the championship run!" angle? Aside from the tightening of the points standings, there is nothing good about it. And even if Harvick completes a remarkable comeback by winning at Phoenix and Miami (without ace crew chief Rodney Childers), his second championship will be scarred even with a feel-good ending. And that has been a depressingly familiar refrain about NASCAR this season, which actually has featured several decent and memorable races (the finishes to the Daytona 500, Chicagoland Speedway among the most notable). Even when Something Good seems to happen, it always is quickly usurped by Nothing Good. 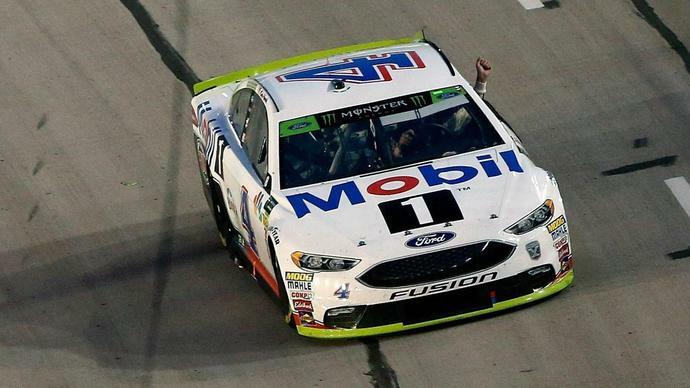 -Your presumptive most popular driver breaks through for his first victory in Cup? All the oxygen from that feel-good story of Chase Elliott's inaugural triumph was sucked away by a traffic stop a few hours after the checkered flag that became the lead story in TMZ Sports the next morning and was the biggest of several black eyes for NASCAR this year. -The Round of 16 field is set with a barnburner of a finish at Indianapolis Motor Speedway (whose regular-season finale debut was worth the wait after a frustrating weekend of nonstop rain)? Let's interrupt that playoff momentum with a Tuesday announcement that the series' reigning championship race team will be closing its doors when the playoffs end. -A fresh face breaks through in the Xfinity Series and brightens victory lane with a rarely seen effervescence? Even NASCAR's attempts to manufacture Something Good have fallen flat. The announcement of the 2019 rules package was well intentioned, but it came on a Tuesday afternoon (and had been scheduled weeks earlier) that dampened the afterglow of the thrilling finish to the Roval, which has been among the highlights of a playoffs that has lacked for memorable moments. Another was Martinsville Speedway, where Joey Logano's last-lap bump of Martin Truex Jr. from the lead at least generated a week of productive discussion about what was happening on the track and the reasons that fans love watching and talking about it. It was a pleasant departure from the pervasively impenetrable chatter about appeals hearings, a bizarrely lackluster race at Talladega Superspeedway and several controversial calls on cautions and penalties (recall when Jimmie Johnson inexplicably was sent to the rear by mistake Sunday). The sparse grandstands Sunday at Texas Motor Speedway and Wednesday's exhaustive social media outrage about the penalties are ominous reminders that these aren't the conversations that foster interest in NASCAR.